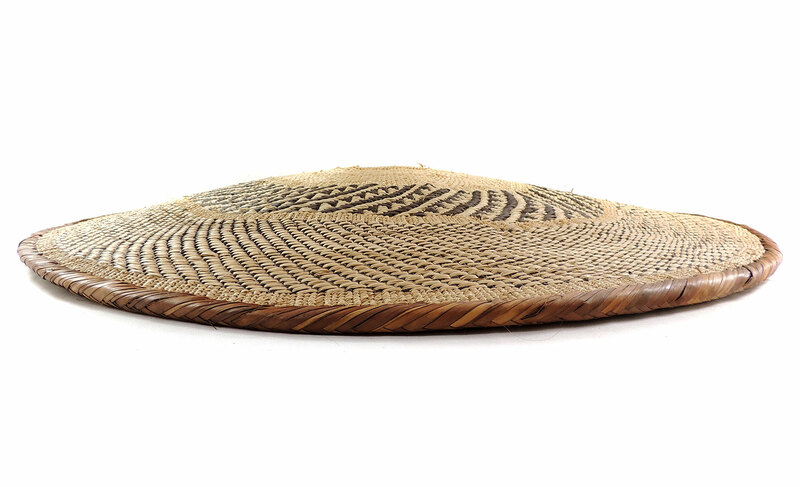 Additional Information: These solid-edged baskets are the apex of the basketmaker's art in Zimbabwe. 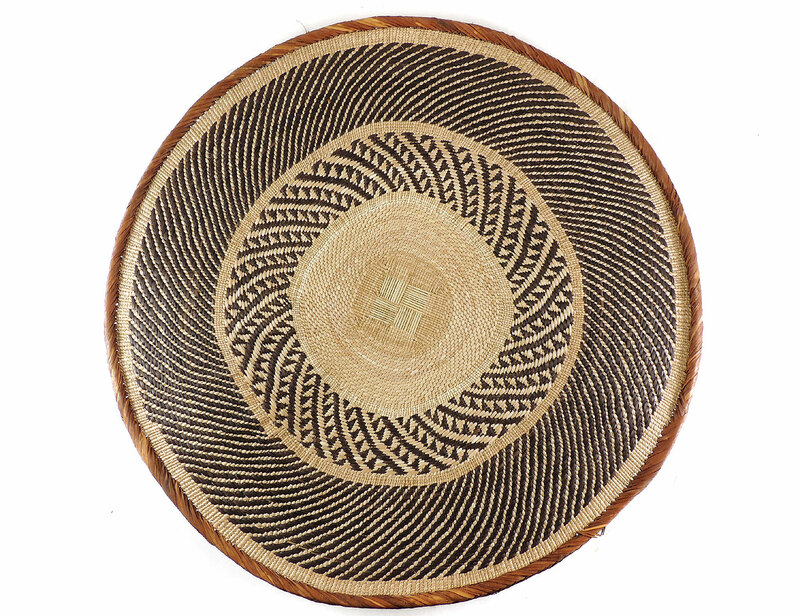 The baskets start as a woven square and end up almost perfectly round. The pattern on the edging is referred to as “snake’s belly”, as the pattern resembles the scales of a serpent. The design is very functional, as the baskets are used to winnow grain even today. The baskets are sometimes called “grandmother baskets” because few younger women are making them. For more information on these baskets, see Marjorie Locke's THE DOVE'S FOOTPRINTS-BASKETRY PATTERNS IN MATABELELAND.